Planning a Beach Wedding in Emerald Isle or an intimate gathering on the Crystal Coast? Looking for a wedding decorator? Planning a wedding or special event can be overwhelming. Lisa can lighten your load with her decorating skills. Lisa would be happy to come up with an extra special decorating plan for your event that will wow your guests. Lisa can handle everything from helping you choose color schemes, offering unique decorating ideas, ordering any rental items needed and so much more, all within your set budget. 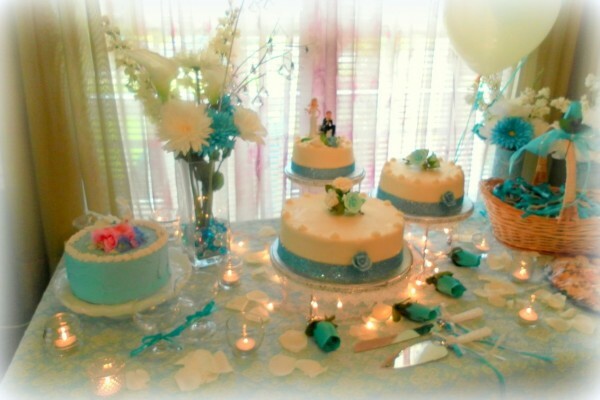 Whether you are planning the wedding of your dreams or planning an intimate bridal shower, anniversary party, milestone birthday or baptism, Lisa’s wedding and special event decorating services can help make this day easier for you and more beautiful. We proudly serve Swansboro, Jacksonville, Emerald Isle and all of the Crystal Coast of NC. Call Lisa at 252-646-2521 or email Lisa@LisasCreativeDesigns.com to set up a consultation. You can view my wedding decorating portfolio here.